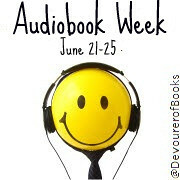 If you posted an audiobook review today, Friday June 25th, please leave your link in the Mr. Linky before midnight Central time (US) and you will be eligible to win a prize. When Major Earnest Pettigrew’s brother passes away, he begins to evaluate his life. A widower, his only son living off in London and visiting infrequently, Major Pettigrew is a bit lonely, but somewhat annoyed by most of the women in his town. When Jasmina Ali, proprietor of the village shop, comes to check in on him, he strikes up first a conversation, then a friendship with her. Jasmina is witty and well-read, a perfect partner for Major Pettigrew. She is also a Muslim Pakistani woman, who isn’t always seen as an equal by some of the people in their small town. 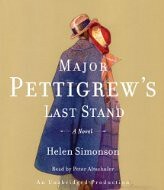 “Major Pettigrew’s Last Stand” is a novel about knowing when to break with tradition and when to hold tight to it; a sweet but not saccharine story of family and love. 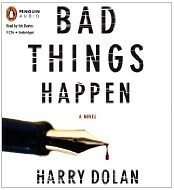 The ending was perhaps too quick and easy, but I adored the story as a whole. It was just insanely charming, and I’m not really sure what to say about it beyond that. Peter Altschuler was the absolutely perfect choice to narrate “Major Pettigrew’s Last Stand.” He had this perfect British accent and played the slightly stuffy and slightly sentimental Major perfectly. 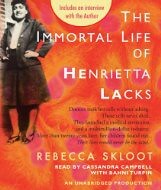 Lovely story, and even lovelier audiobook.